One of the main objectives of Lissan is to present promising project-establishments for the benefit of Ethiopian people. We admire those who are behind such projects and encourage them to keep up their unbreakable dedication to make a change. Seifu Ibssa is one of these determined Ethiopians. We contacted Seifu recently and he has kindly sent us an article describing about his project and about himself. I started what I call “community transformation” by accident less than 3 years ago. 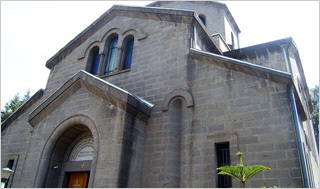 In February 2005, Fremont Presbyterian church, located near Sacramento State University, asked me to help seven Americans as they travel to Ethiopia to visit their mission fields to which I agreed. After helping them with their mission, I invited the team to visit my birth-village, which was on our way to the capital from the trip. They agreed. We had a wonderful time staying in my dad’s hut overnight, built at the top of a very cold hilltop, about 10,000 feet above sea level. The next morning, we started walking and we saw a small boy fetching dirty water in two containers. The water was so dirty that no one in his right mind would even wash his feet, let alone drink it. The 8 year old boy didn’t even care what those 7 foreigners and a few Ethiopians were doing near the pond. He had a job to do – fetch water and go home. We took his picture and my depression began right there! 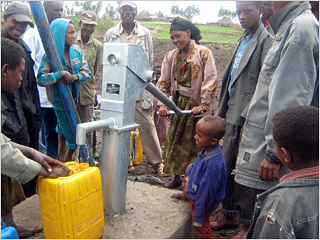 Seifu Ibssa tests the faucets on the water storage tank he and his Sacramento friends constructed in the remote Ethiopian village where Ibssa was born. I was depressed for two months after I arrived in USA to be with my family. I would hardly eat, drink or joke around with my wife and kids during those two months. Something was wrong with me. I couldn’t take the picture of that child off my mind no matter how hard I tried. So, I decided to do something about it. I sold my car, sold my African collections at a garage sale, begged at a church, washed cars for donations and sent about $6,000 to get a water tank built and make clean water available for 200 villagers and their cattle. That was not the end. I had a new vision. Education is in high demand. Women deliver babies on dirt floor at the only clinic in the village. Deforestation is at work at an alarming rate, and soon the next generation will have little or nothing left to eat due to soil erosion. 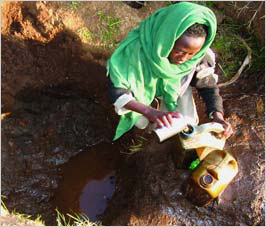 Before construction of the well, villagers such as this young boy gathered their water from this mud hole, which they shared with livestock and hyenas. · Built a Kindergarten on a land given to me by the farmers. We now have 105 children attending with 2 teachers and a janitor. Last year, we had 176, but 70+ had graduated and moved to the nearby government school. · We tutor 8th graders in the afternoon in my KG, get them involved in sport activities. Last year, all 43 students who sat for national exam passed as a result of our efforts! We are hoping to see the same result this year. · We added 2 more class rooms at the government school, and donated 100+ desks. Provided classroom desks to these schoolchildren, who previously sat on sticks on the ground. · We built a four-room living quarters for teachers in the area to live free of charge. · We donated a delivery bed and other medical tools and drugs to the clinic. · We are currently supporting 85 high school students (23-10th graders and 62-9th graders). You see, there is no high school in my village. After 8th grade, the kids would have turned to farming rather than walk 25 miles one-way to get to school. We rented houses and have them live there. · We have planted 500 trees to help curve the soil erosion. · We conducted 3 to 6 days clinic each year we traveled to Ethiopia, to treat the sick free of charge (drugs from us too). · We paid to have a 15 year old boy’s split lip medically fixed. He is one of the high school students, and was in tears when we were there 3 weeks ago to visit and give pep talk. · We are currently collaborating with Ethiopian Tree Fund Foundation (ETFF) to get apple trees, honeybees and mushrooms introduced in the area to help generate income for the farmers. In McClatchy’s corporate Finance Department, they call him King Seifu. That’s the good-natured nickname given to Seifu Ibssa, a financial systems analyst for The McClatchy Company whose “kingdom” encompasses the PeopleSoft financial network. In the remote Ethiopian village where he was born, however, Ibssa is treated as if he were king. Upon his visits, he is welcomed as a returning hero by the thousand or so residents. Lambs are slaughtered and feasted upon in his honor. He is given a white horse to ride during his stays. Ibssa, 47, is more than the hometown boy made good. He has become his village’s benefactor. He has initiated a number of humanitarian efforts to lift his native village and the surrounding community out of poverty and suffering. Ibssa was born in Kerebigne, a tiny mountain hamlet within the surrounding village of Acheber. 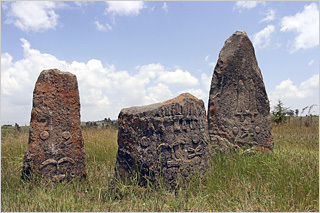 Acheber sits 10,000 feet above sea level in the mountains of southern Ethiopia. Kerebigne is only accessible by donkey, horseback or a 45-minute hike from Acheber. Since 2005, the area has been the focus of Ibssa’s relief efforts. He has provided medical supplies and purchased a maternity bed for the health clinic. He’s bought classroom desks and benches to relieve schoolchildren from sitting on sticks on the ground. He’s paid for a new building wing at the local high school and has secured land and the government’s OK to start construction of a kindergarten and after-school center. He has recruited Sacramento churches and missionaries to the cause, raising about $15,000. No gift was bigger than the supply of safe drinking water Ibssa and his Sacramento friends provided last fall. Ibssa raised money for the construction of a well and water storage tank to supply the villagers and their livestock with reliable – and separate – sources of clean drinking water. 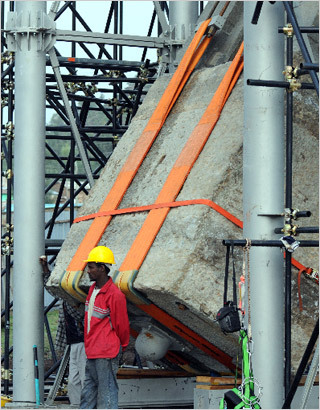 Ibssa spent three weeks of his vacation in Ethiopia last year overseeing the construction. Ibssa began returning to his birthplace in 1992. That’s when the political situation in Ethiopia stabilized enough to allow him to visit his father and other relatives there. He fled Ethiopia and its brutal Marxist government in 1982, making his home in California ever since. Acheber’s remote mountain setting had largely insulated it from Ethiopia’s chronic problems – devastating cycles of drought and famine, environmental degradation, over population, a history of civil war and oppressive military regimes. 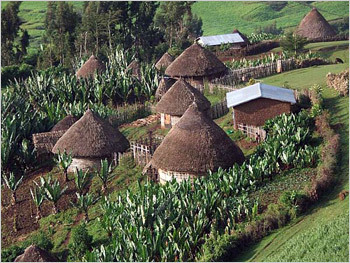 Villagers still live the way they might have centuries ago, tending to their livestock and farming wheat and barley. The village even had its own water supply provided by two natural springs and a nearby river. Ibssa fondly remembers his childhood there. He worked as a shepherd until he was 10. That’s when his father, a relatively well-to-do farmer and landowner, sent him to Addis Ababa, the capital, to get a formal education. “At the age of 10, I didn’t even know what a car looked like,” Ibssa said. “All I knew were horses and donkeys, cows and goats.” In Addis Ababa, Ibssa worked his way through school, ultimately earning a university accounting degree. He started a career as an accountant until he found an opportunity to leave the country and its military regime in 1982. In California, Ibssa immersed himself in his new country, taking English and U.S. history classes at night and working entry-level accounting jobs during the day. He married, started a family and went back to college to get a business administration degree from San José State University. A job offer in 1994 took him to Sacramento, where he gained computer and PeopleSoft experience. He joined The McClatchy Company in 1999 to help install and oversee the PeopleSoft financial applications. 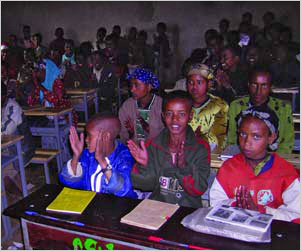 In February 2005, Ibssa accompanied a Sacramento church group to Ethiopia on a humanitarian mission, serving as a translator and guide. At the end of the trip, Ibssa invited the church members to his village as his guests. To his shock and dismay, Ibssa discovered that Ethiopia’s widespread suffering had finally caught up to Acheber and Kerebigne. The local elementary school and health clinic were in bad shape, and water was in short supply. The two underground springs had dried up from neglect and overuse. The mud hole that remained was being shared by villagers and livestock during the day and by hyenas at night. “I was just devastated,” he said. “I came back just depressed. I was depressed for about two months.” That depression eventually turned into action. Ibssa started asking friends and relatives for donations to help improve the situation. He gave Power Point presentations at his church. He formed a relief organization called Ethiopian Village Outreach complete with a board of directors, brochures and a website. Harlem is the destination for immigrants from all around the globe. And they bring with them many different types of music. The World’s Marco Werman tells us about one man who’s pulling together some of what he hears… on and off the street. Sometimes you can know a lot about a place by the way it sounds. Harlem can be like that. Start at 125th street and walk down Seventh Avenue. Between the merengue, hip-hop and traffic, it’s like a multi-dimensional game of name-that-tune. Who’s the artist? What’s the song? But the sounds of Harlem don’t ALWAYS spill out onto the pavement. One sound you DON’T hear out on its streets is Ethiopian rhythm. Dave Schommer grew up with an academic dad who did research in Ethiopia. When he was a kid, Schommer’s house was filled with stories and art from the horn of Africa. Years later, Schommer worked as a songwriter and producer with the likes of Donna Summer and Carole King. 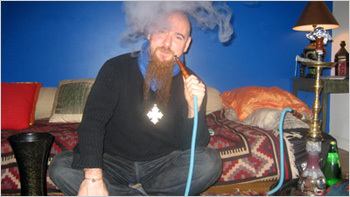 When he wasn’t in the studio, his group of friends included a quickly growing circle of Ethiopians. They all seemed to bond over Ethiopia. 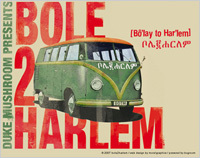 The Bole part of Bole2Harlem doesn’t just refer to that big street in Addis. Bole is also the name of a neighborhood — and it’s the name of the city’s airport too. That’s key to Schommer’s concept of this music. So Dave Schommer and Maki Siraj, the Ethiopian singer he works with on Bole2Harlem, built that bridge. And traffic on that bridge goes in both directions. That’s evident on the track “Harlem2Bole,” in which Harlem’s hip-hop and predominant Senegalese immigrant sounds travel back to Ethiopia. Unlike many cross-cultural musical fusions, “Bole2Harlem” grew naturally. Schommer and Siraj would hear sounds from Addis Ababa and New York that made them go “eureka.” With the tune Hoya Hoye, eureka happened for Schommer after a trip he and Maki Siraj took to Addis a few years back. Schommer was in his New York apartment and thinking about the Hoya Hoye dance he had seen performed back in Addis. He says Hoya Hoye comes from a percussive dance Ethiopian kids do during their version of Halloween. More surprises were in store for Dave Schommer as he returned from the Jamaican jerk chicken place. He heard the sound of a choir in a Harlem church singing a chorus, “Feeling all right!” That refrain entered the tune. And so did a blues scale that Schommer realized was an abbreviated version of an Ethiopian scale. The song was almost written by the time Schommer walked back in the front door of his apartment. Ethiopia had a golden age of music in the 1960s. A curfew under the oppressive regime of Mengistu Haile Mariam in the 70s all but dried up the nightlife and talent in Ethiopia. Now, musical life there is slowly starting back up. And as Ethiopians travel to and from New York, new musical ideas are making the transit as well. Dave Schommer and Maki Siraj’s “Bole2Harlem” project shows how those ideas get turned into very cool songs. Tel. 002511 1 - 551 02 94, On Bole Road, next to DStv. Tel. 002511 1 - 551 83 58, Bole Road, next to Sabit Bld. Semqua and I were each on a fourth mini bottle of red wine. It was the most enjoyable intercontinental flight I’d ever taken alone. My drunkenness was heightened by lack of sleep; I’d purposely stayed awake the previous night both to take care of all those niggling last-minute things and to crash hard on the flight. But thanks to Virgin Atlantic’s impressive entertainment system and my inability to both cradle my backpack and sleep soundly through my interminable Heathrow layover, I was still exhausted. I’d dozed a bit on the second leg, but upon waking for dinner, I chatted with Swedish-born Ethiopian and London university student Sem happily the rest of the BMI flight. He taught me my first Amharic words—tadias (hello) and ameseganalehu (thanks)—then teased me when I tested out my new vocab at the airport bank counter at 4AM. With a hug and a kind offer to lodge me when I returned to Addis, my new friend bade me farewell while I headed off to Dire Dawa. Ethiopian Air requires re-confirmation of all flights the day before departure. While many locals prefer face-to-face confirmation in the airline offices, I breezed through check-in at the domestic terminal thanks to the quick email I’d sent to the airline before leaving home. Despite the second bag check at the gate, no one bothered to tell me my backpack was too large for the small plane’s overhead compartments. The airline seemed pretty casual about the whole thing, flight attendants gently admonishing me with beautiful smiles and then simply tucking my pack into a corner. I noticed another passenger actually stood the entire flight so yeah…they weren’t fussy. Outside Dire Dawa’s small airport, the taxi drivers fighting over me offered the option of taking a private car all the way to Harar rather than a minibus. Not ready to splurge so early in my trip, I insisted on getting to the minibus station, where I basically met a new man every few feet saying “Harar? Get on bus.” They seemed to think I would lose my way in the 40 feet between the parking lot entrance and the minibuses. I should have checked for seats on the apparently-full minibus, which took off immediately while mine sat for 30 minutes as I tried to ignore the ancient woman out the window with her pleading eyes and hand outstretched, and children reaching inside to sell tissues (locally referred to as “soft”) and gum. Behind me, a man nonchalantly asked his plump seatmate if he’d purchased two seats because he was so fat. Making light of it, the Dutch tourist dryly said, “Thanks for the compliment!” Grinning, the Ethiopian replied, “It wasn’t a compliment, it’s a fact.” Welcome to Africa! The sweet young woman wedged in between me and driver smiled constantly but spoke no English. She’d caved and purchased gum from the hopeful children, immediately offering me a piece. Unable to make conversation, I found myself staring in awe at the rolling mountain scenery. I’d heard plenty about Ethiopia’s beauty, but the green valleys were still an unexpected thrill. The road between Dire Dawa and Harar is on good asphalt, but parts are still under construction. Slowed more by frequent stops to pick up new passengers along the way, a distance that could be covered in an hour took almost two. Shenanigans ensued when the driver informed us we had too many passengers to get through the customs check. What customs check? Where did the regional border begin? The line of minibuses pulled over, re-shuffled passengers until every minibus held no more than 12 passengers, and eventually drove on. Considered to be the fourth holiest city in Islam, Harar’s walled old city contains perhaps the world’s greatest concentration of mosques, devout women in headscarves, and while I was there, a joyful population preparing to celebrate Eid Al-Adha. Outside its graceful white walls and atmospheric alleyways, the hectic, densely-inhabited modern city feels like a giant open-air market. Upon retrieving my backpack off the bus’ roof, I gaped at the seething crowd until my kind seatmate grabbed my arm. As we walked through the station, the baggage handler yelled in Amharic until she pushed a tip into his waiting hand. She pulled me into her friend Efraim’s mototaxi. Tewodros Hotel was only a short walk away, but I had heavy bags and hundreds of eyes on me; in the brief period since touching down in Ethiopia, I’d already sensed the infamous “ferengi-hysteria” building. The eager young receptionist at Tewodros spoke only halting English. Immediately after showing me my room, he gently recommended the resident guide’s services. Disoriented, I told him I wasn’t sure yet; uncomprehendingly, he asked me several more times. 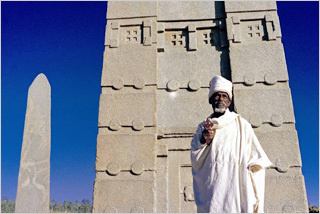 The Harar Gate, the Haile Selassie-era addition to the five traditional gates into the old city, was close to the hotel. Within minutes of entering the wall, Efraim drove up on the wide main road with a big smile. I wish I’d had the nerve to call and taken the opportunity to hang out with locals. But it’s difficult enough for a woman to trust strange men without being the one initiating a meeting—what impression does that give?—and there was no guarantee he’d invite the girl from the bus. The boys led me to a traditional Harari home, now a guesthouse requiring a few birr to visit. A woman showed me around while a young man—perhaps her son—impassively watched TV in the main room, its high walls covered in the famous Harari pottery and baskets. While I hadn’t expressed interest in shopping, the boys took me to a small store with beautiful baskets on display. As I examined the work, the lead boy noted, “white people sure love baskets!” I’d been previously informed that Africans consider all non-blacks to be white, but was still startled. Me? White? We strolled past the street tailors of Mekena Girgir into the odoriferous meat market, surrounded by optimistic birds of prey. A man struggling with a camel’s bloody head insisted I take his photo for one birr. I didn’t even want the picture but as the crowd grew around me, I didn’t know what else to do but agree. A merchant woman in a makeshift tent called out, “American? American!” Cackling, she called herself a Jamaican, revealing her mass of dreadlocks as proof. A refugee from Shashemene lost in Harar? I refused the plain injera she offered to share but took a few photos of her adorable child, after which she screamed out for money but didn’t chase me down. A car pulled up and the men inside asked where I was from. “New York,” I said. Mysteriously, they then screamed “GROUND ZERO!” with huge grins, pumping their fists joyfully. We left the market and exited through Showa Gate, surrounded by another market. The boys had repeatedly asked me to see the hyena man with them, but still exhausted from the journey, I repeatedly deflected. One tried to convince me the hyena man was his father, and their persistence won me over in the end. 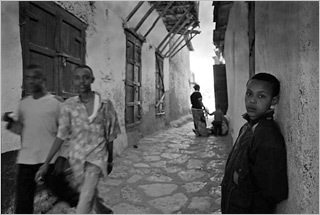 They ran off before we reached the hotel, begging me to say nothing to the live-in guide at Tewodros. The hotel guide Guma approached immediately and informed me that it was illegal to see the hyenas with my unofficial child guides; whether or not that was true, I decided it was easier to go with him instead of some random kids. Almost an hour early, he knocked on my door and awoke me from a long-delayed deep slumber. We rescheduled for the following day. I don’t think Guma owned a watch because the previous night he’d tried to pick me up for the hyenas almost an hour early. I’d been too exhausted from the long travel day to go then, but tonight when he showed up 30 minutes early I was ready. Harar has a weird relationship with hyenas. The tradition of feeding raw meat daily to hyenas, which by most sources dates back only to the 1950s, may have transformed into its present version from a yearly ceremony begun centuries ago during a famine. Hararis fed the starving hyenas porridge to prevent them from attacking humans, and continued to set out a bowl of porridge yearly to symbolize this pact. The amount of porridge left in the bowl later came to represent the success or failure of the year’s crops. Sort of an Ethiopian Groundhog Day. We strolled across the football field behind Tewodros Hotel, taking in the pleasant Harar evening. Guma was the first person I’d met in Ethiopia who spoke English fluently, although there were still misunderstandings. He agreed that directions to Babile’s camel market were not clear in guidebooks, but also insisted that it was simple to follow the stream of animals from the main road, yet the stream hadn’t existed. As relieved as I was to find an English-speaker, I wasn’t comfortable with the way he looked at me, or his insistence that we should have spent the day together to avoid some vague peril. Was he trying to assert his indispensability, or was it something more salacious? He said I should never have planned to hike in the Valley of Marvels alone because it was dangerous. He said the bus driver dropped me off in the construction camp instead of Dakata because Dakata was also dangerous. It seemed odd that none of this was mentioned in my guidebook. Walking along the dark path outside the old city’s walls, I grew uncomfortable with his staring. Fifteen minutes later, we arrived at the feeding site and I gladly ended the conversation for a while. The site was at Fallana Gate, with a younger hyena man rather than long-established Yusef Pepe. This hyena man almost seemed bored, and did not attempt to create any mysterious atmosphere in his relationship with the hyenas. They seemed like docile dogs being fed by their owner. Even so, there was something intriguing about the feeding. 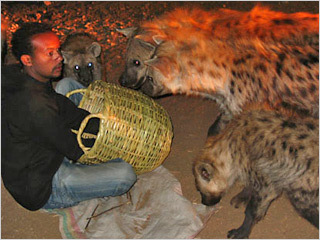 The furry hyenas were surprisingly cute as they nosed curiously at the man’s basket of food. But when a car pulled up with a tour group, their fangs glinted in the headlights, snapping at strips of raw meat. The hyena man alternately fed them from his fingers and off the end of a metal stick. The tour guides, familiar with the procedure, also took a turn feeding the hyenas and invited their guests to join in; I was too chicken. The feeding lasted perhaps no more than 20 minutes, during which the flashes from various cameras never ceased. I paid Guma the agreed-upon 50 birr and he gave a portion to the hyena man. Until seeing the small crowd at the feeding, I would have sworn I was the only tourist in Harar. Afterwards, I still wasn’t sure where the others I’d seen were hiding. We walked back through the brightly-lit old city. 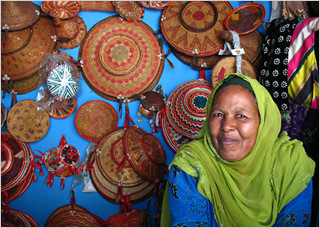 At night, Harar was full of activity, with stores still open and street stands selling food. I wished I had a travel partner to visit with. Guma wasn’t an acceptable substitute, as his overly-familiar behavior turned me off. He wasn’t even that helpful in his capacity as an officially-licensed guide because of a collision with another pedestrian. He was so distracted soliciting sympathy for the small cut on his forehead that he couldn’t help me negotiate for photos. “It pushes back the beginning of anatomically modern humans,” says geologist Frank Brown, a co-author of the study and dean of the University of Utah’s College of Mines and Earth Sciences. 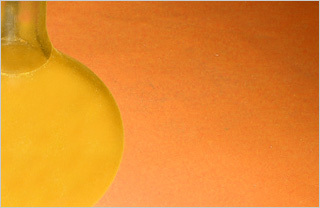 The journal Nature has published the study in its Thursday Feb. 17, 2005, issue. Brown conducted the research with geologist and geochronologist Ian McDougall of Australian National University in Canberra, and anthropologist John Fleagle of New York state’s Stony Brook University. The researchers dated mineral crystals in volcanic ash layers above and below layers of river sediments that contain the early human bones. They conclude the fossils are much older than a 104,000-year-old volcanic layer and very close in age to a 196,000-year-old layer, says Brown. “These are the oldest well-dated fossils of modern humans (Homo sapiens) currently known anywhere in the world,” the scientists say in a summary of the study. The study moves the date of human skulls found in Ethiopia’s Kibish rock formation in 1967 back from 130,000 years to a newly determined date of 195,000 years ago, give or take 5,000 years. Fossils from an individual known as Omo I look like bones of modern humans, but other bones are from a more primitive cousin named Omo II. Fleagle says no scientist has been bold enough to suggest Omo II is anything other than Homo sapiens, and that “quite often at the time of major events in evolution, one finds an increase in morphological [anatomical] diversity.” Now that the new study confirms Omo I and Omo II are the same age – living within a few hundred years of each other about 195,000 years ago – some anthropologist suggest “maybe it [Omo II] isn’t so primitive after all,” Brown says. McDougall, Brown and Fleagle and researchers from other universities returned to Kibish in 1999, 2001, 2002 and 2003. They identified sites where Omo I and Omo II were found in 1967, and obtained more of Omo I, including part of the femur (upper leg bone) that fit a piece found in 1967. They also found animal fossils and stone tools, and studied local geology. The Nature study includes initial results from those expeditions. Both Omo I and Omo II were buried in the lowermost portion or “member” of the Kibish Formation, a series of annual flood sediments laid down rapidly by the ancient Omo River on the delta where it once entered Lake Turkana. Lake levels now are much lower, and the river enters the lake about 60 miles (100 kilometers) south of Kibish. The 330-foot-thick (100-meter-thick) formation is divided into at least four members, with each of the four sets of layers separated from the other by an “unconformity,” which represents a period of time when rock eroded away instead of being deposited. For example, the lowermost Kibish I member was deposited in layers as the Omo River flooded each year. After thousands of years, rainfall diminished, lake levels dropped, and the upper part of Kibish I eroded away. Later, the lake rose and deposition resumed to create layers of Kibish member II. Interspersed among the river sediments are occasional layers of volcanic ash from ancient eruptions of nearby volcanoes. Some ash layers contain chunks of pumice, which in turn contain feldspar mineral crystals. Feldspar has small amounts of radioactive potassium-40, which decays into argon-40 gas at a known rate. The gas, trapped inside feldspar crystals, allows scientists to date the feldspar and the pumice and ash encasing it. Brown says potassium-argon dating shows that a layer of ash no more than 10 feet (3 meters) below Omo I’s and Omo II’s burial place is 196,000 years old, give or take 2,000 years. Another layer is 104,000 years old. It is almost 160 feet (50 meters) above the layer that yielded the Omo humans. The unconformities represent periods of time when rock was eroded, so the fossils must be much older than the 104,000-year-old layer and close in age to the 196,000-year-old layer, Brown says. No other sediments on land have been found to record wet and dry periods that correlate so well with the same climate pattern in ocean sediments, Brown says. The new study found that the “members” – or groups of rock layers – of the Kibish formation were laid down at the same time as the Mediterranean sapropels. In particular, the volcanic layer right beneath Omo I and II dates to 196,000 years ago by potassium-argon dating, and it corresponds almost perfectly to a sapropel layer previously dated as 195,000 years old, Brown says. “It is pretty conclusive,” says Brown, who disputes any contention that the fossils might be closer to 104,000 years old.